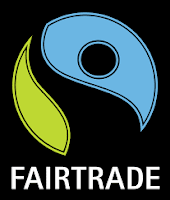 What is 'Fair Trade' and how can I possibly explain the ABC's of it all easily? Let's start with my backyard, Hollywood Blvd., a big tourist draw. The old Grauman's Chinese theater is surrounded by souvenir shops selling T-shirts for only a few dollars. Seriously, $3.50 for a shirt? We all love a bargain. But, you must wonder how is it even possible for these items to be priced so low. Don't turn a blind eye. Such low priced items on store shelves absolutely means they were produced by exploited people in developing countries. Unfortunately a huge percentage of the world's work force labors very long hours for very low pay. 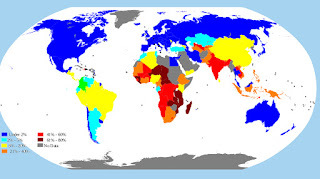 According to the World Bank, the global poverty line was raised in 2015 to $1.90/day. In 2012, 900 million people lived below this. Can you imagine living on less than $700/year? It's even more shocking when you look at what percentage of people live on less than $1 or $2/day in various countries around the world. I was shocked to learn in a recent report published by the World Bank that 45% of people in Nicaragua live on less than $1/day. If you take the time to digest these stats your stomach will curdle and you'll surely make an effort to change your buying habits. Not convinced yet? Check out this map of the world. Those countries in blue suffer little poverty as a percentage of their populations. Red or orange, the situation is bleak. Even in the areas shown in yellow, up to 20% of their inhabitants live in poverty. That's less than $1.90/day. I am not an economist or am I prepared to research and write a dissertation on poverty levels around the world. However, I certainly believe in advocating for fair trade and decent treatment of people around our globe. Simply put, 'Fair Trade' is about giving all people who produce things we consume a fair price for their labor. Workers should earn enough money to live without malnutrition and with the ability to educate their children. Everyone should live with dignity. So how do you explain "Fair Trade" to a total beginner, someone who wants to do good but doesn't want to hear a long lecture? I absolutely loved a recent blog post written by Sarah Culler, our FTF colleague at Fair Trade Winds. She tackled this issue so simply and perfectly. Here are the easy to share tips she suggests. 1. 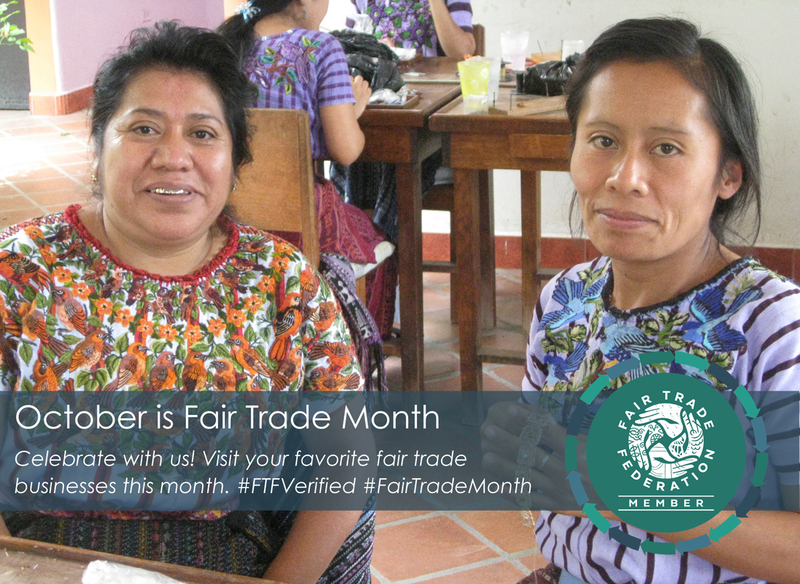 Fair trade means that farmers and artisans earn a fair, living wage for their work and are guaranteed safe working conditions. 2. There are certifications, similar to the organic label, for things like coffee, chocolate, produce and some clothing. 3. 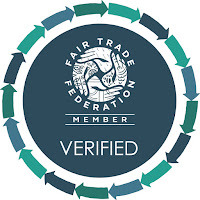 For items such as jewelry, cards, mugs and handcrafted pieces, there isn't a certification. But these types of products are made by organizations that are part of the Fair Trade Federation and World Fair Trade Organization. 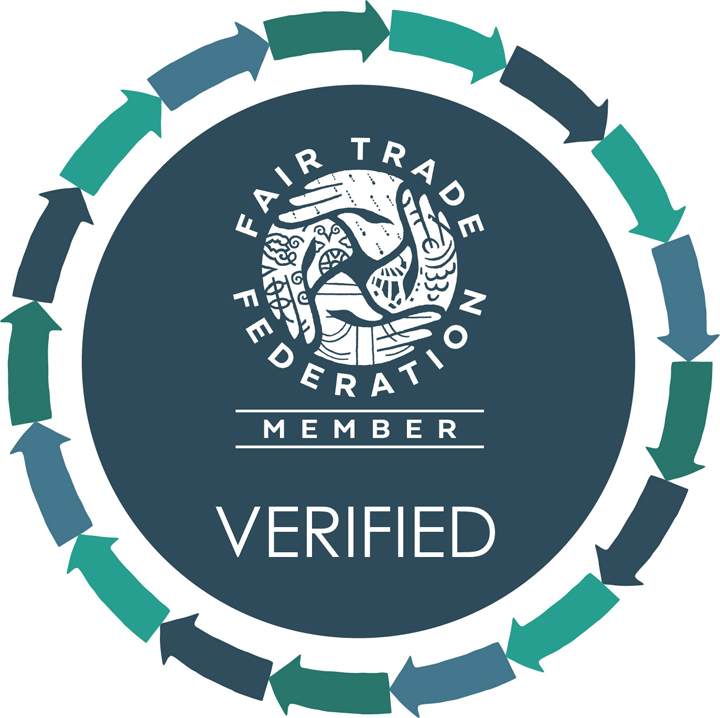 Members have been screened and verified and that's how we know they're fair trade. 4. Fair trade is NOT charity. It provides opportunity for artisans to break the cycle of poverty. 5. YOU can be part of fair trade by thinking twice about many of your purchases. And now that you have a better understanding, spread the word.